The Caversham Croft is a permaculture, chicken & quail farming, vegetable garden venture and bakery that supports 1000+ community farmers. The Caversham Croft oversees a community permaculture project that supports more than 1000 rural farmers in KwaZulu-Natal, South Africa. Most of these community members don't have access to jobs so farming is their primary source of income. They struggle with access to inputs like seedlings and animal feed as well as access to markets. The Caversham Croft "KuhleKudla" project provides these farmers with logistical and material support as well as busy produce and distributes it to appropriate markets. The Caversham Croft bulk bakery bakes up to 2400 loaves of bread a day as well as rolls, cakes and other confectionery. This bread gets sent to the communities which farm vegetables. Most of these communities never have bread delivered to their stores and when it does arrive, it is usually old and stale and priced to be affordable. The bulk bakery has the capacity to double the output as the market grows. 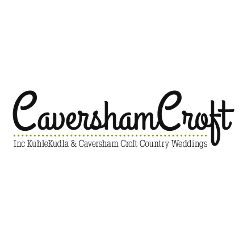 The Caversham Croft has a retail outlet in Howick on the Main Road called KuhleKudla, meaning 'good food'.